Visit Apples & More to learn about U-pick apple orchards, apple nutrition, varieties & selection, and fun activities for children. 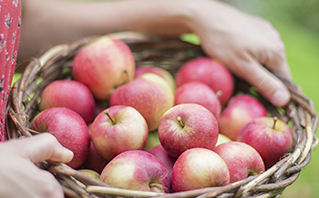 Visit Apples & More to learn about U-pick apple orchards, apple nutrition. Learn more about the plants and their problems in your yard and garden. Learn how to select the right ornamental grasses for your landscape. Let us help with your plant problems. We do plant and insect identification, diagnosis of disease, insect, weed and chemical injury (chemical injury on field crops only), nematode assays, and help with nutrient related problems, as well as recommendations involving these diagnoses. Turn your yard waste into compost. Need to test your soil? Here's what you need to know. 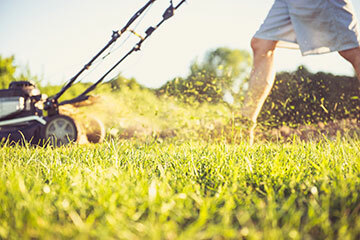 Learn what grass varieties are best for your lawn, how to deal with shady areas, when to fertilize your lawn & more! 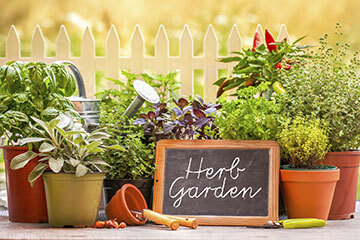 Master Gardeners are a group of volunteers trained by University of Illinois Extension educators to provide a network of gardening programs and horticultural activities to educate the public and enhance life in their communities. Guide to growing and using common herbs. Find the right tree for your home landscape at Selecting Trees for Your Home. Find the right shrub for your home landscape at Selecting Shrubs for Your Home. Everything you ever wanted to know about groundcovers including a directory of 35 different groundcovers. Find out how to grow and care for roses in Our Rose Garden. A guide for choosing a container, selecting soil mixes, choosing and combining plants, fertilizing, watering and grooming basics. A guide for growing, harvesting, and exhibiting vegetables. A wonderful library of links to forestry information and management references for citizens, students, teachers, landowners, environmental groups, natural resource managers, foresters, and loggers. Learn how leaves change color at The Miracle of Fall. Green Side Up is a weekly radio gardening program produced by WDCB (College of DuPage) and University of Illinois Extension. This site gives an excellent indepth discussion of the science of composting, why it is important to compost, how to build a compost pile, and materials needed for composting. Learn all about Christmas trees, as well as a listing of Christmas tree farms in Illinois, Indiana, Wisconsin and Michigan. Bulbs & More teaches you all about selecting, planting and landscaping with bulbs. Find out about plants that offer color and interest to some of the most extreme gardening situations. How do you keep a poinsettia healthy? Find out in this website. Find out what houseplant is best for your growing conditions. Learn about common vegetable insect pests and diseases. 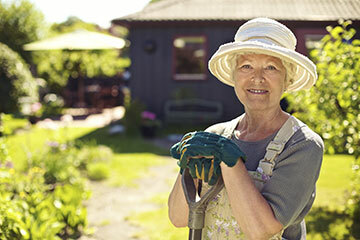 Gardening with Perennials will tell you how to plant and care for a garden that will bloom year after year. Your guide to choosing, growing, preparing and storing common vegetables. Find out how annual flowers can brighten your garden. Learn how to use tropical plants as focal points and accents. Learn about aquatic plant selection and cultivation as well as container water gardening. Is disease affecting your plants and trees? Learn more at this website. Looking for a spot of color or unusual foliage in your garden? Fabulous Foliage offers many valuable suggestions. A website to help people diagnose and identify plant and pest problems. Pests bugging you? Check out The Bug Review. 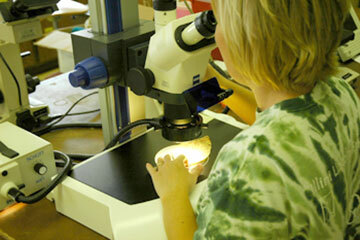 Review the major insects and diseases of turf. Learn about gypsy moth and how to control it. Links to the information you need to cope with severe winter weather. A helpful monthly guide to know what to do in your garden. Here's answers to our most frequently asked questions. The Illinois Steward features articles about stewardship, conservation, preservation, and restoration of natural areas in Illinois. Learn about the life cycle of the periodical cicada. Learn all about the Illinois Cottage Food Operation Law of 2011. University of Illinois Extension Master Naturalist Program provides science-based educational opportunities that connect people with nature and help them become engaged environmental stewards. Buying a tree is a major investment. Here's help in choosing the best tree for your location. Kitchen scrap gardening…regrow your fruits and vegetables!